If you are one of those who ever wondered about the edge work of a motorcyclist, experience this retro realistic feeling with the Mutant Racing game. As you hop on your motorbike to begin the game, the challenge is to carefully race and jump through a journey of hills, gaps, and harmful obstacles. With mutant-themed fun graphics and perfect sound tracks, experience the feeling of motorbike racing in the world of a mutant. The Mutant Racing game gives a feeling of addiction and excitement for people of all ages. 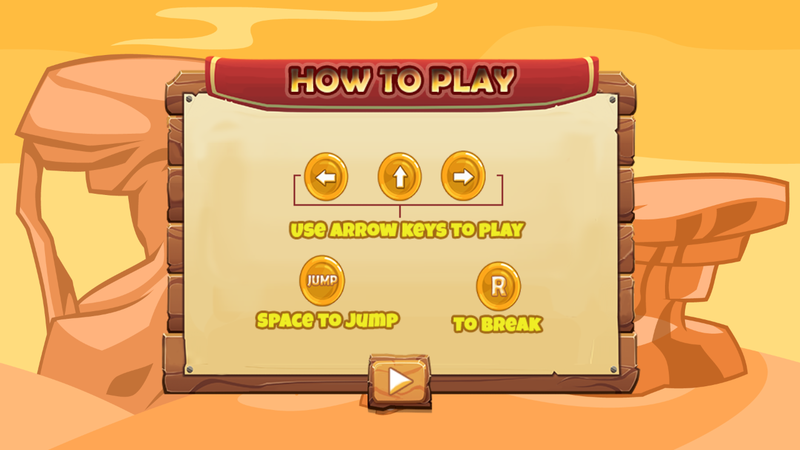 That challenge and develop visual, coordination, problem solving and attentive skills of players. Successfully master each level, by collecting as many coins as possible and safely arriving at the checkered flag. Remember this is a race, so the challenge is to do so quickly and safely. In this game, coins are very valuable as a collection of 500 coins earn players an extra life. 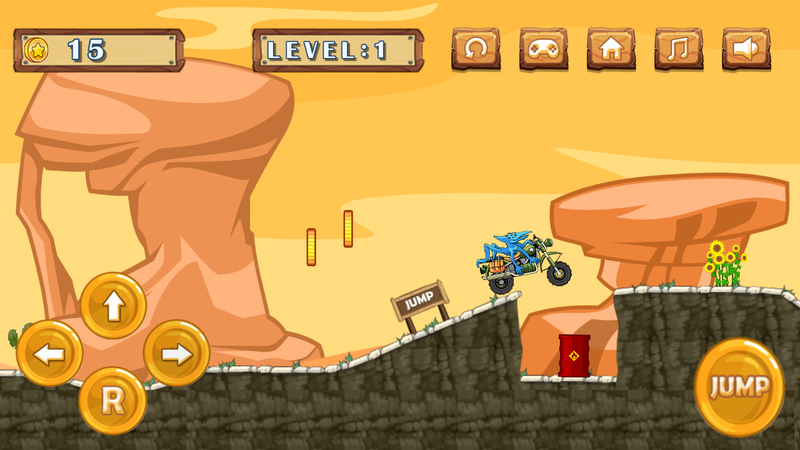 It also allows players to continue racing their way through each level and earn a rank on the ranking board of players. As you progress through each of the 24 levels, be aware that the obstacles begin to get more difficult to overcome. Race through each level in style, as the control features allow you to have precise control of your racing speed and to safely escape deadly obstacles. Use the left, right and forward arrow keys to direct your motorcycle. Hit the R button for brake control, and the space button to jump over the hills as you escape the danger. Performance on each level is saved. At the end of each level, a number of coins collected will place you at a rank on the ranking board of players. The Mutant Racing game is adventurous, fun, challenging and exciting, as it is not a game of violence. It can be played on any mobile device that is operated under the Android or iOS operating system. 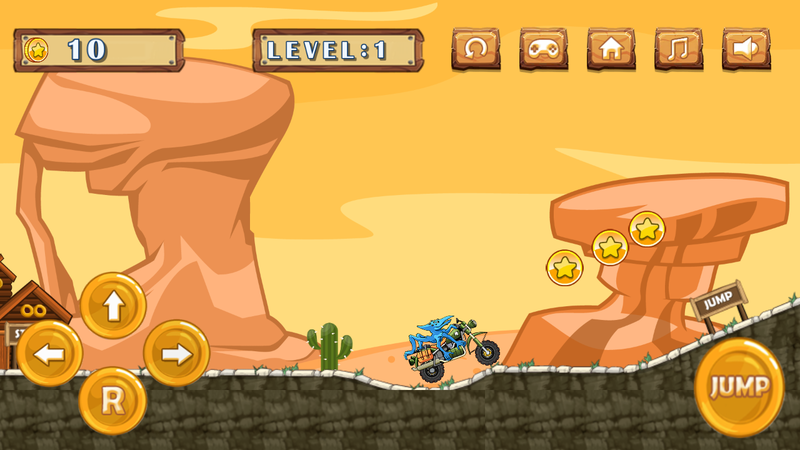 May the best Mutant motorbike racer win their way through each difficult level! Mutant racers! Feel free to leave us with a review or some feedback as they very valuable to us. We warmly welcome your suggestions, comments, and ratings on the game.